Betül is the most generous, positive and wonderful person that I have ever crossed paths with and I consider myself lucky for having met her. She is a proud scientist at Chalmers and she loves Sweden and her life in Gothenburg. She is also a Newbie like many of us. Imagine you just moved to a new country. That shouldn’t be difficult as most of you are – or have been – a Newbie. Remember how hard it is/was sometimes to be alone in a new city, new home, new job, maybe even a new language? It feels like being reborn, requires a lot of effort to just go through the most mundane daily routines. It takes a while to build up your comfort zones again. We have all been there, one way or another, and we know or have at least an idea of how it feels. Now imagine that right in the middle of the adaptation process you were diagnosed with cancer. In a foreign country. Far away from home. That is exactly what happened to Betül, and this is her story. 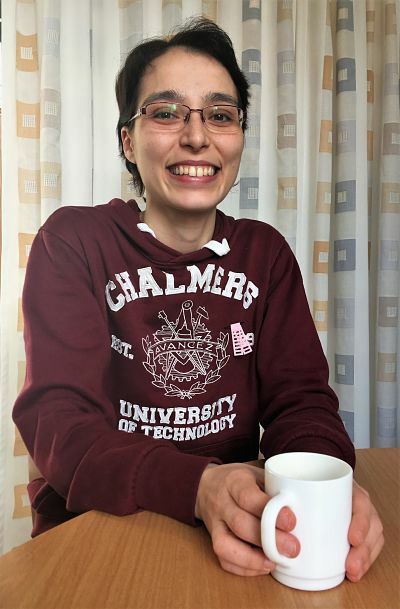 Betül moved from Turkey to Gothenburg in February 2017, after having been accepted for a postdoctoral position at Chalmers. “I had no idea how beautiful and peaceful Sweden is, so I consider myself lucky for having ended up here,” said Betül during our nice talk over a cup of tea. A few months later she noticed something on her neck. At first, she didn’t pay too much attention to it, especially because she didn’t have any other symptoms, but when it started growing and became visible, she decided to check it up at the closest vårdcentral. The first thing she was asked was if she had other symptoms. When she replied no and saw the doctor’s reaction, she understood for the first time that it could be serious. She did a blood test immediately and was told the results would take 3 days. However, she got a phone call from the doctor the day after. The results had not been conclusive, and she was advised to go to the emergency room at Sahlgrenska. Immediately. She had a second biopsy and once again, the results would take some time: 10 to 15 days. That was a Thursday. The Monday after, Betül got call back again and she understood that it was bad. She was told she had lymphoma and it was big. It was malignant and spreading on the upper body. It was scary. One of the nodules was close to the heart, therefore Betül was not fit for radiotherapy. She was told she would have chemotherapy for 6 months. Her first chemo day was less than a month after the diagnosis. The hospital provided her with all the necessary information and support. “They told me to never google it and gave me a phone line that I could call at any time with questions or if I got any new symptom. They could also call my doctor if needed. Having that support made me feel comfortable and safe. I never felt like I was bothering them with my silly questions and worries. One does get a lot of thoughts and doubts about everything”. The most striking memory I have of Betül during this whole period was how calm and positive she was. Constantly! At first, I thought it was a defense mechanism to avoid thinking about her treatments. Soon I realized that it was just who she was. Still, upon her diagnosis, a flow of questions hit Betül. Could she stay in Sweden for the treatment? Would she be able to keep her job? What would her boss say? Her contract had barely started and she could be gone for months. Betül ended up applying for flexible sick leave. This meant that she could determine how many hours a day she wanted to work. All she had to do was to count the working hours so that her salary and sick leave remuneration would be correctly adjusted. After the treatment, she went back to working full time and her contract was extended to compensate for the time she was on sick leave. When I asked her about her friends, here in Sweden, mentioning how some people have difficulties making Swedish friends. Her answer came fast, as she immediately said no, that it was not difficult at all. Everyone at work, Swedish or not, had always been helpful and supportive. “My closest friend, who also became my contact at the hospital, is Swedish and she did everything she could to make me feel good.” Betül had to change apartments during the treatment. The sessions were on Fridays and she was supposed to move and mount the new Ikea furniture during one of the weekends. Betül would also like to leave a message for all of those going through something similar: “I would like to tell them that they don’t need to worry about their diseases and treatment. Sweden’s health care system is the best for taking care of the patients (especially in urgent cases). Swedish doctors have great knowledge and they are always up to date with new improvements in medical science. They recommend the treatments accordingly. Most side effects from chemotherapy are predictable. Doctors can help to minimize them with medication. The most important I would say is to keep the mood up. I found that very easy in Sweden with all the kind and helpful people around”. Betül has also made herself available to be contacted. If you would like to know more about her experience or simply would like to talk to her, all you have to do is leave a comment below. I have learned a lot myself while talking with Betül. The biggest lesson might have been that I won’t complain again when I have to wait for my turn at the vårdcentral. Now I know that they are probably taking care of a more important case. 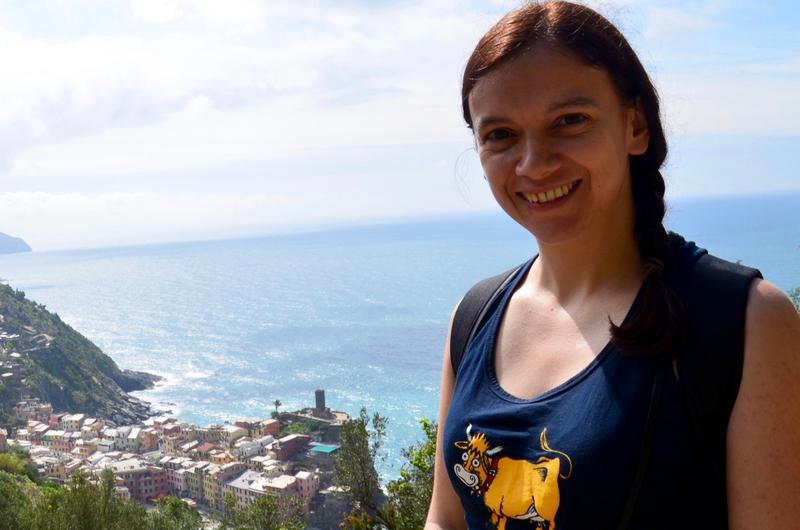 Thank you Betül for sharing your story with us! Remember that you can learn more about the Swedish health care system here.